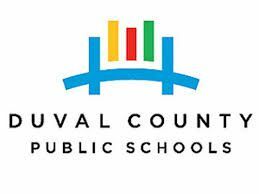 Penda Learning is excited to continue its partnership with Duval County Public Schools, located in Jacksonville, FL, for the 2017 - 2018 academic year. Now in it's second year of implementation, Penda Learning continues to be used district-wide in grade 5 science, grade 8 comprehensive science 3, and high school biology classrooms, serving over 150 schools and approximately 24,000 students daily. What's new this year? Auto-data rostering! In partnership with DCPS Information Technology, Penda Learning's Development Team & Engineers have finished integration work that allows for daily synchronization of student data via auto data-rostering between DCPS and Penda Learning. Teachers and administrators will now enjoy daily synchronization of student data, which will capture any changes to course/class rosters - new students, student schedule changes, student withdrawals. Manually adding students or moving students between class periods are no longer necessary, and will not be available. Missing a class or students? Consult with your school administrator to ensure the proper course codes are applied to your class period/course/student(s) in question. Notify Penda Learning's Implementation & Support Services team by submitting a support ticket.